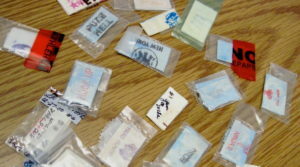 Heroin Possession charges are a serious criminal offense in New Jersey. Whether you are struggling to fight addiction or you were just in the wrong place at the wrong time, the Burlington County Prosecutor’s Office and local police will still file charges and possibly move to indict your case as a third degree felony indictable offense. If convicted, you could be subject to five (5) years in a NJ State Prison, a $35,000 fine, a criminal felony record, probation, community service, in-patient rehabilitation measures or even Drug Court. Whether the charges involved an illegal search of your car, an unlawful pat-down or frisk of your person or a search warrant for your home, it is imperative the you contact an experienced criminal defense drug possession attorney. Having spent our careers focusing on criminal defense law, our attorneys are well-equipped to represent you in your pending Burlington County Superior Court case or Municipal Court charges. Firm Partner and Former New Jersey Deputy Attorney General, William C. Fay, IV, heads our criminal practice and will gladly consult with you about your case. For an immediate consultation regarding you criminal charges in Pemberton, Westampton, Bordentown, Evesham, Mount Laurel, Willingboro, Maple Shade, Moorestown, Cinnaminson or Burlington Township, call (609) 850-8284 today. Recently, I represented a client charged in Ocean County with Third Degree Possession of Heroin charges. In addition to charges for heroin possession, my client was also charged with Failure to Make Lawful Disposition and Possession of Drug Paraphernalia. The circumstances of the alleged offense were are follows: police officers followed a known female prostitute from the street into a motel; They further witnessed the female enter into a motel room visible from the street; Officers then walked up to the door an allegedly “witness an occupant open the door right as the approached and saw drugs in plain view.” Based on my experience, the officer’s report seemed highly improbable. After subpoenaing the officer involved, I was able to expose issues with the State’s case and possible violations of my clients fourth amendment rights against unreasonable search and seizures. On motion to the court, the judge granted a dismissal of all the charges. This was particularly important as my client was currently on parole at the time and any conviction would have result in a parole violation and immediate return to State Prison. If you or a loved one were arrested for marijuana possession, heroin distribution, prescription drug possession, cocaine possession, distribution of methamphetamine, possession of steroids, possession with intent to distribute in a School Zone, DWI or any other criminal offense in Burlington County, contact the attorneys at Proetta & Oliver. Our offices can be reached 24/7 for your convenience. If you have any questions, please do not hesitate to reach out to our attorneys today.